The science and technical know-how to be a plumber can leave you industry-ready out of high school. 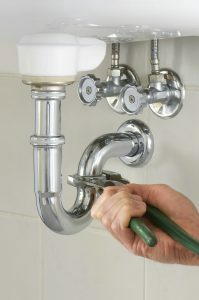 Want to become a plumber? The Plumbing Technology program prepares students to practice as licensed plumbers. Learn the technical knowledge, safety and skills to lay out, assemble, install and maintain plumbing fixtures and industrial processing systems in the home and business. Plumbing Technology coursework includes instruction in source determination, water distribution, waste removal, pressure adjustment, basic physics, technical mathematics, blueprint reading, pipe installation, pumps, brazing and soldering, plumbing inspection and applicable codes and standards.